I have a routine I follow most days and that is to check out posts I am able to see when I hit the “Home” tab on my Facebook page. (It can be a bit hit and miss given the number and nature of posts) While like the majority, what I see are from sources I generally happen to agree with or they just happen to be postings from “friends”, not everything I see I agree with (for which I am proud given I don’t want it to be an echo chamber reinforcing my personal prejudices) but then there is a lot I do agree with and some of it express views that other of my Facebook friends disagree with. I realize too we all have different perspectives on all sorts of issues depending on our world view, what we know already and our experience of life and rather than shutting out those disagree with us, it is often a good thing to hear what others have to say. Often I share memes (defined as an image, video, piece of text, etc., typically humorous in nature, that is copied and spread rapidly by Internet users, often with slight variations) on my own timeline so my friends and followers can see and be stirred and encouraged as opposed to getting irritated or feeling got at, which regrettably happens sometimes. I don’t apologise when that happens but I will endeavour to check against my true, necessary and kind principle before posting in future and maybe add caveats recognizing that memes in order to make a point typically overstate their case. These may originate from those seen as extreme or are disapproved of. I have sometimes been accused of adding to hate and prejudice and fear mongering, whereas the opposite is my intention. In a way this is one issue that is furtherest away from home and I for one am happy to go along, at least for the time being, the UK status quo of disallowing the private possession of firearms. In the USA, on the other hand, the issue is a hotly contest one which in the worst case might lead to civil war and probably along with other related matters has. The temperature rises every time there is a mass shooting, the last time being the Florida school and the Las Vegas shooting. While I get it why people would want to restrict or even eliminate people personally possessing firearms, I also am not unsympathetic to them who say the fact people weren’t protected is a good reason for keeping them. 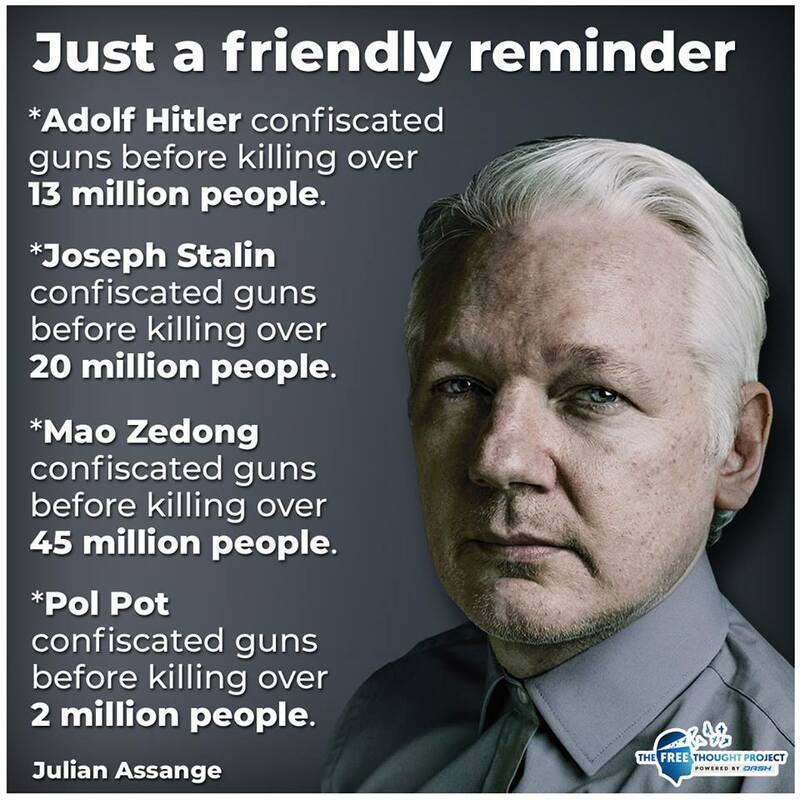 Then there is the suspicion that government can’t be trusted and indeed might even use firearm confiscation as a way to subjugate the masses, just like what happened with Hitler, Stalin, Mao and Pol Pot. Given the truth has not come out and there is evidence of cover up in both these (and other cases) I will not rule out these are false flag operations by subversive forces who wish to take over the country. I also think one point that often gets overlooked – the problem is not guns but rather the people who use them and there is a certain malaise and downward trend in society that really is the cause of gun crime. 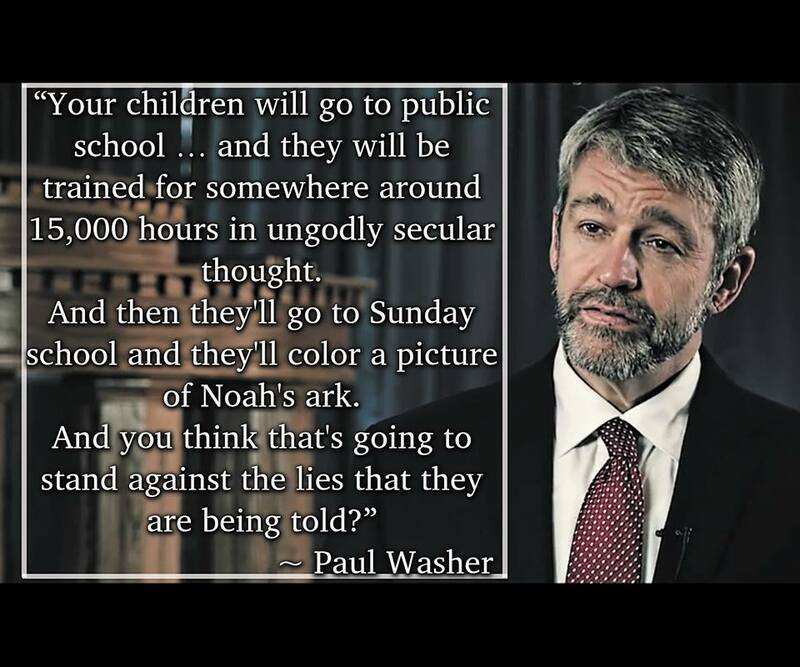 When I posted this meme, at least two people took me to task over the notion that the time children spend in schools is all about harmful secular indoctrination. Of course not! Even the most radical anti-Christian school will spend much of that time teaching helpful stuff, like the 3 ‘R’s. But the concern is how to counter the harmful effects of schools that no longer subscribe to a Christian ethos that might have one day been taken for granted and allowing all sorts of rubbish in to fill the vacuum. Probably even the best schools are ideologically flawed and the worst are decidedly toxic. Added to the mix is the question of what is education and what should be the priorities. The point about the meme is parents need to be mindful and take action and not rely on a little bit of religion (e.g. painting pictures of Noah’s Ark) as a remedy. For some it might mean home schooling and for others it is to monitor what happens in schools, get involved and compensate outside of school what is erroneous or lacking. My purpose was not to say which path a parent should take, but rather to urge them to weigh the many issues that are at stake. I have to confess I am not Sadiq Khan’s biggest fan; in fact the fact he is mayor is a source of annoyance. I say this recognizing I was already prejudiced when I posted a meme linking him to the rise in the number of mosques; the fall in the number of churches and the increase in the number of Sharia courts. In fairness, he can’t be blamed for the first two and only partly blamed for the third (if indeed ‘blame’ is the word to use). While his embracing of Islam (partly understandable given he is Muslim) might be acceptable, the Islamification of the British culture is a worrying trend for reasons I have given in other blogs. For me Khan and the statements he comes out with only goes to add weight to these happenings. 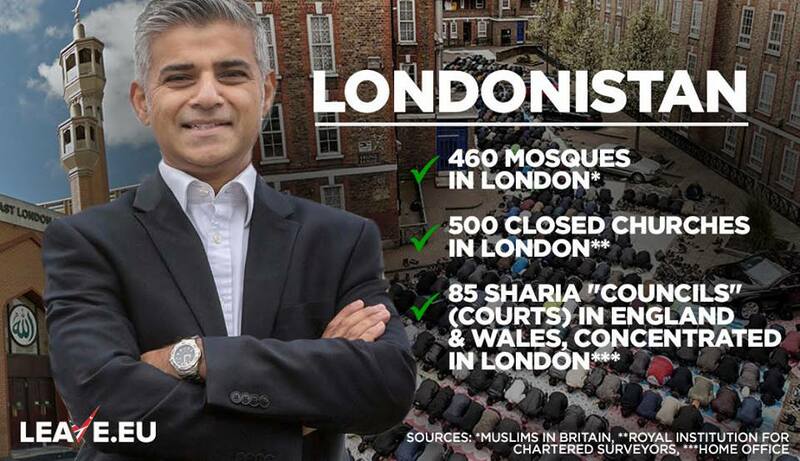 London is being taken over by Islam and some of what we are seeing such as an escalation in crime and a rejection on some of the best of British values is at least partly down to Khan being mayor, adding to the culture of political correctness, the shut down of free speech and our being taken over by Islam and being oblivious to it. In wrapping up, I close with two quotes encapsulated in the two memes above. 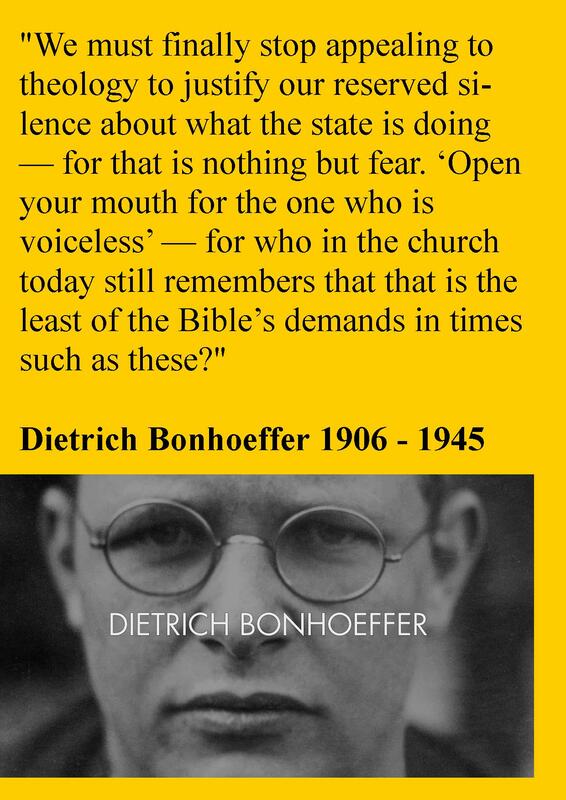 I love Bonhoeffer who warned concerning the evil he saw befalling the nation, which we can now look back on as being spot on, even though he was widely ignored at the time but later he was to pay the ultimate price for standing up against the glaring evil he saw around him. I also love the Hebrew prophets who warned the people even though ignored. That is what I am doing. I don’t expect people to agree with me necessarily but without claiming to impart the oracles of the Almighty, at least I will have done my sacred God given job. Sadly, history is fall of examples of people being asleep when disaster befalls their country. I believe one day when all the crud is removed, I will be proved right. 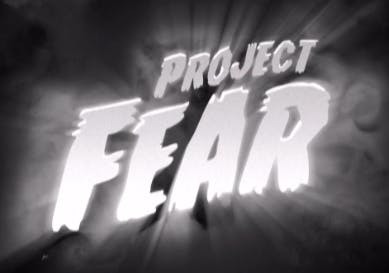 As for fear mongering, when looking around us with eyes wide opened much might cause us to fear, I would rather point to one who offers something far better. 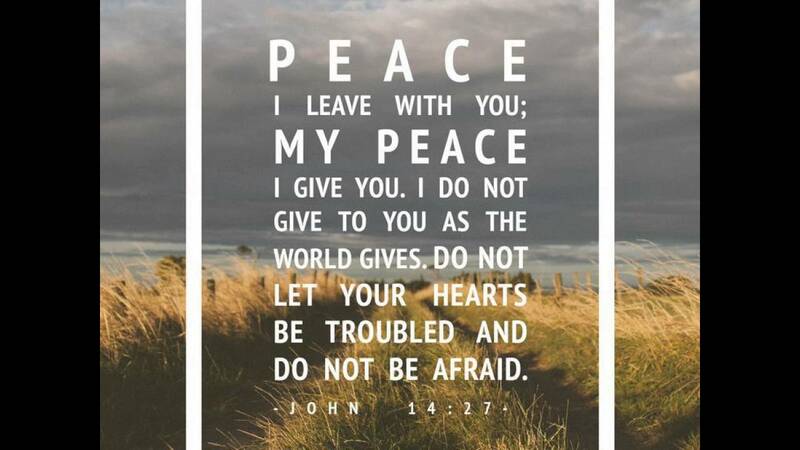 Even with so much bad in the world, Jesus leaves us with His peace.